Believe me, I know what it's like getting stuck into a mission and losing sense of time. 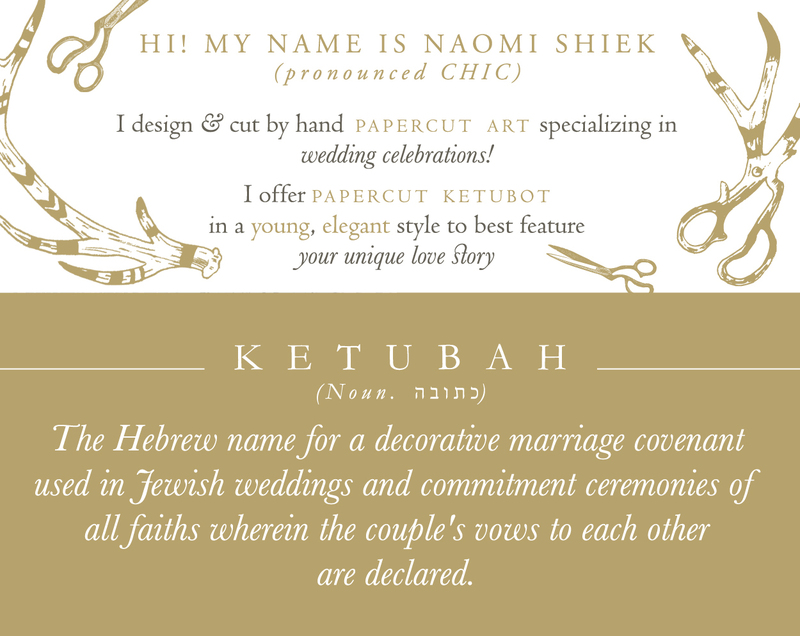 I often work through the night enjoying creating bespoke ketubot for my clients and realizing it's a new day only when the sun rays hit the ketubah. 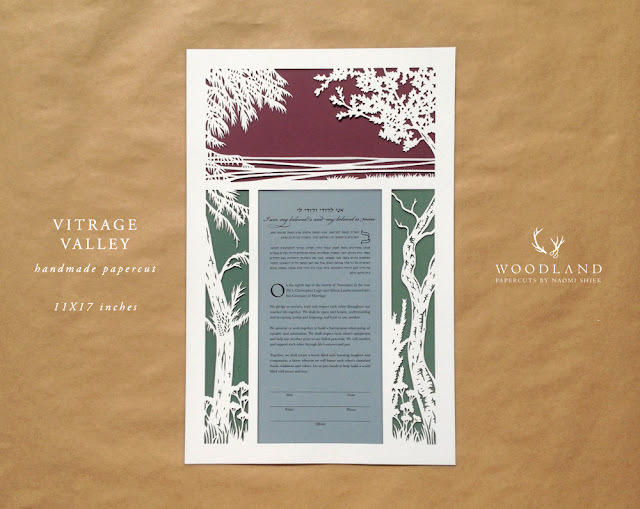 If you too suffer from the same time management affliction, you know: Time gets away from you and suddenly it's almost too late to get the ketubah that will remind you of your special day for years to come. 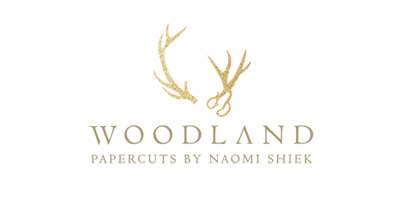 It's for this reason that I've set up a new SALE section in my Woodland Papercuts shop! 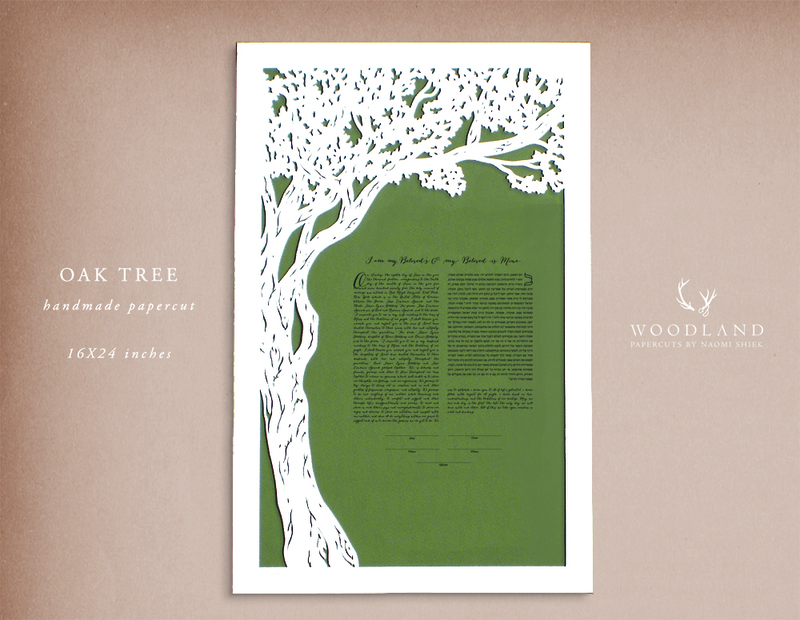 This is a special big version of the popular Oak Tree ketubah. The original size was 11X17 inches big, but this one is bigger. 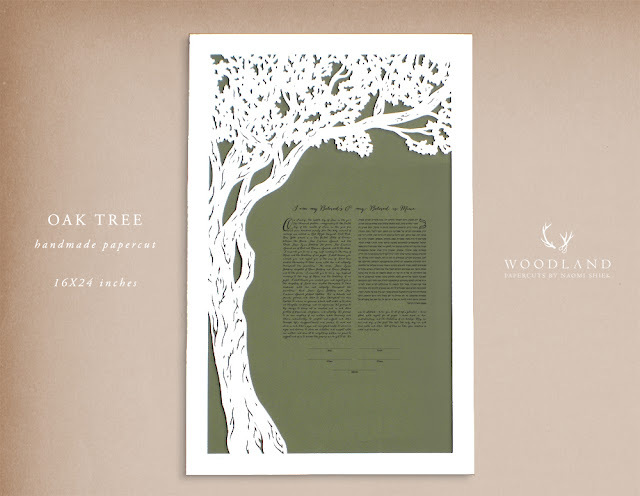 And by bigger I mean 'huge - the ketubah is 16X24 inches (or 41X61 cm) big. Otherwise it is exactly the same as the original size, and nothing is lost in the design. This bigger size actually allows for extra long custom text, or a Quaker text with room for guests' signatures as well! 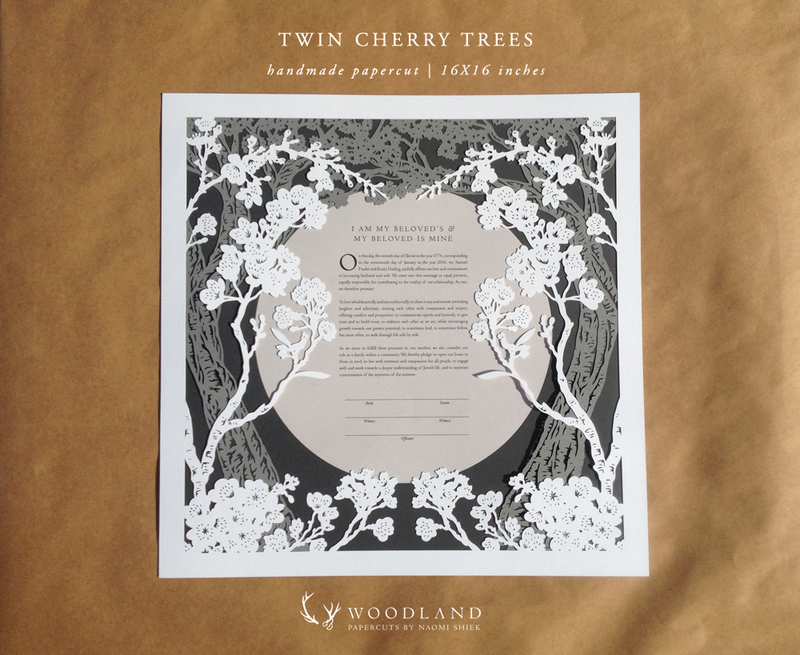 What I love about this ketubah is the different panels dissecting it like a stained-glass window. 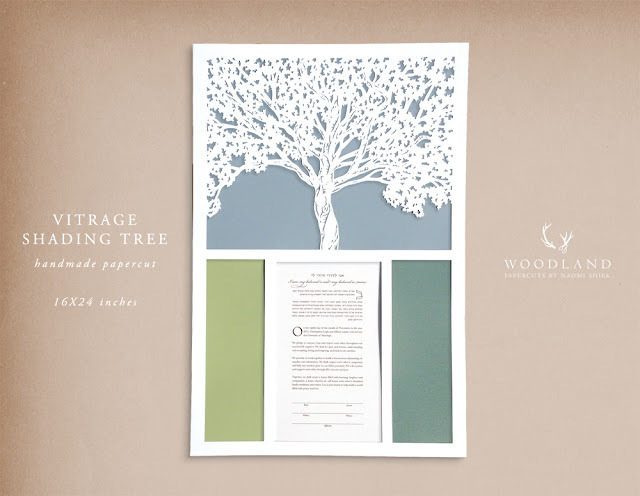 The colors are up to the clients, but you can choose as many colors there are panels, making a colorful ketubah (for example, with all your wedding colors). Seen in the sample photo are: Polvere, Light Green, and Moss. 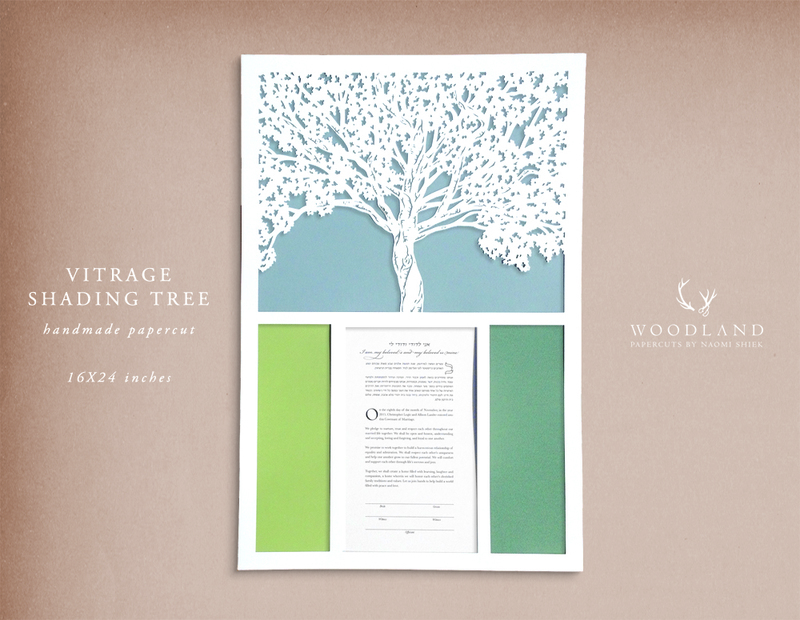 Like the design above, this ketubah can also be colored in different colors to suit your wedding colors. Seen in the sample photo are: Polvere, Plum, and Fir.